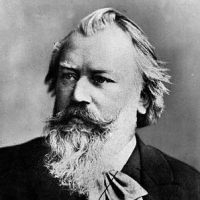 As part of the Marlboro Music Festival’s 60th anniversary, this morning we will air a special historic Marlboro recording of Brahms’ Clarinet Quintet in B Minor, Opus 115 (1891). The concert was recorded on Saturday, July 29th, 2006 at the Marlboro Concert Hall. The Marlboro Music Festival has been delighting classical music fans for 60 years, and for many of those decades photographer Clemens Kalischer has been documenting the celebrated musicians on the school’s campus.